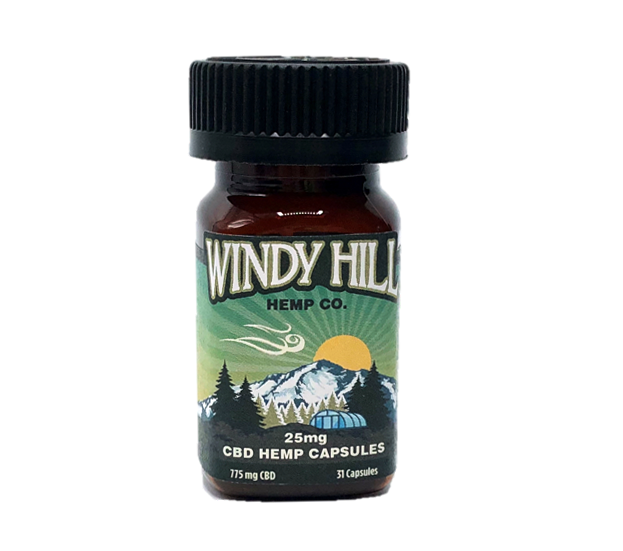 Windy Hill Hemp CBD Hemp Oil 25mg Capsules are Colorado grown, pharmacist formulated, and triple tested to provide an accurate daily dose you can trust. 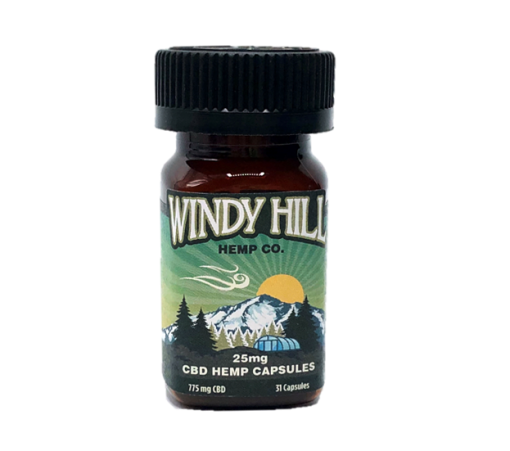 Windy Hill Hemp CBD Hemp Oil Capsules are made from premium quality, naturally grown, whole flower industrial hemp right from our own farm in Colorado. 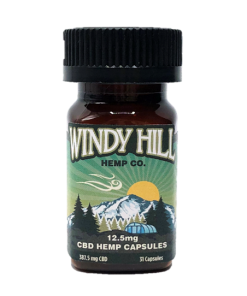 All Windy Hill Hemp products are batch tracked and laboratory tested as well as formulated and manufactured by a pharmacist. Recommended Use: Take 1 capsule by mouth once daily or as directed. 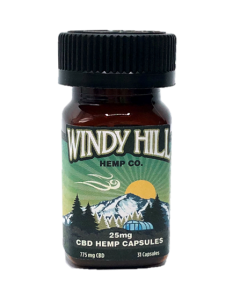 Active Ingredients: CBD 25mg per Capsule, THC less than 0.3% per Capsule. Helps so much with my muscle pain!! Helps with the pain caused by my MS.
My whole world is so much better. More calm and I sleep better. I purchased this product as I have had problems staying asleep (overactive mind). I take this product around dinner time and I have been sleeping great since! I definitely recommend it! Got some cream for my mom who has fibermialga. 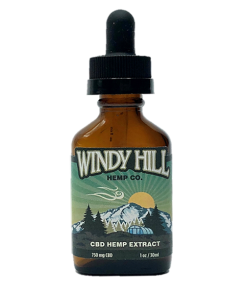 She was in pain all the time since she has started using the cbd cream her pain has almost disappeared. She has not been taking as many pain pills and is able to enjoy her life more. I️ also use cream and pills i feel like i have way more energy thanks to this product. My daughter suffers from severe anxiety and the symptoms are debilitating. She's been taking CBD supplements for 6 months and her anxiety is 100% better and her quality of life is like never before. Thank you for making quality products that save lives. It made me sleep which was great. my only concern was at one 25 mg pill a day after three days I tested positive for THC. I am retired so I don't personally care but I live in Idaho and to have THC in my urine could be a bad thing. I plan to move to Oregon next year where it would not be an issue. I waited to use all of the capsules to gauge how I felt pre and post usage. I took one a day until I finished the bottle and ran out a week ago. Since running out a week ago I can definitely tell a difference. I lead a very physically active lifestyle and I can tell that I have more inflammation and recovery from my workouts post-use takes longer and is more painful. I have a labial tear in my hip. I have taken about all of the Tylenol, Advil, and Aleve I can take. I have even tried the OTC herbals for joint and bone health. All doctors want to do is give you meds and NSAIDS that me sick and kill my stomach. I tried this product. OMG! For someone who can't sleep, experiences a pain level that is off the charts,; it was the best rest I had. But the best part was that my pain level decreased immensely, my stomach didn't hurt, Amazingly, the pain relief even lasted for a few days. If I needed it, I could get by with a Tylenol. I highly recommend the herbal products. I have had the best nights' sleep ever since I began taking the capsules. Also, my knee pain is mostly gone since using the cream. Wonderful ! !